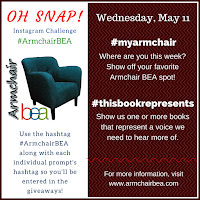 Today we kick off the 2016 event of Armchair BEA! Welcome to our 7th year of celebrating Book Expo America (BEA) from the comfort of our own homes. We have another great year planned for you, and hope you all have a great time chatting with all of our other participants, getting a special view of the BEA Blogger Conference and Book Expo America, and getting a chance to win a lot of great prizes. Every day, we will have a special linky for you to share your own posts for our daily topics. It is a great place for other book lovers to stop by and visit your contributions, and we do recommend that you list your link in a very specific way to help others know which conversation you are participating in (see more info below). In addition, we will also share a quick reminder of what to expect for the day, including any Twitter parties and the Instagram challenges. 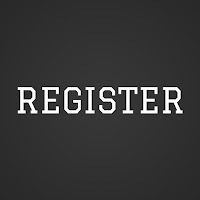 For quick reference, we will link up the daily topics in the Agenda & Schedule page. On this day, introduce yourself! A specific list of introduction questions are posted here. Our secondary topic focuses on diversity in books and the publishing industry. Whose voices do we see? Whose voices do we need more of? Where do we find representation lacking and what can we as bloggers do to address that? What about negative or stereotypical representation? Please use only permalinks (links going directly to the designated post) when linking up. If you link directly to your home page, your link will be removed. I'm excited to begin Armchair BEA! I am sorry I messed up my link by not including the title, but my post was an introduction and reflection on diversity. Here's to a great event! Literate Housewife ... All fixed!! Thanks for the fun and all the work put into it. Great to see you participating, ELizabeth - Welcome! Yay for a first-timer! Welcome!! Glad you're here, April -EnJoy! April ... Yay for another first timer! I hope you have a great week! Happy ABEA 2016! Ready to have a great time again this year. Looking forward to reading all those Intros! Is anyone at the BEA going to send us photos or videos? Elizabeth ... They sure are! We have a lot of great content coming up, including some exclusive material coming later today from the BEA Bloggers Conference round table facilitators. I always enjoyed the Bloggers Conference. Where will we be able to find the info? Elizabeth ... It will all be posted right here on the blog, so be following along!! Can't wait to get started, this is my first time joining, so I have high hopes! This is my first time participating, and I'm very excited to see what the week has in store! This is my first time at Armchair BEA and I'm stoked! My first post is up and I can't figure out why one of my headlines refuses to post as the size it is in my draft, but oh well. Small issues. I can't wait to hang out with all of y'all. So excited for this year's Armchair BEA. It's going to ROCK. Excited to be back this year both participating and helping out the prize team! This is our first time participating! We especially love our first post! Well here we go. This is new and different to me, no clue what to expect or if I shall succeed at it since it's like nothing I've ever done. Yay for trying something new!! Even a small amount of participation can be considered a success in an event this large!! Didn't see when this got fixed but my links are up now. I have happily linked up! Thanks for doing this you wonderful people you! Linked Up, Better Late then never! Sorry for the delay!! Looking forward to the posts! Is it okay to be a bit behind schedule with the day by day? I'm one day behind but hoping to catch up today and tomorrow. Jenefer Rosado ... It sure is! BUT, if you want in on the giveaway action for the daily topics, they do need to be linked up the day of the event. Excited to read so many other posts on these topics! So excited about another year and look forward to reading everyone's post. We got a puppy and she's a lot of work, but I'll try to participate as much as I can. Have fun everyone!